Uterine polyps are growths that occur in the endometrium, the inner lining of the uterus (the organ in which a foetus grows), formed by the overgrowth of endometrial tissue. Uterine polyps range in size from a few millimetres to several centimetres or larger. Hormonal factors seem to have a role behind uterine polyps as these are estrogen-sensitive, making them grow in response to circulating estrogen. Uterine polyps is more likely to develop in women between the age of 40 and 50 years old than compared to younger women. Uterine polyps can also occur after menopause but rarely occur in women under 20 years old. Infertility and problems conceiving is one of the major complications associated with uterine polyps. It is not certain if removal of the polyps will allow you to conceive. Most uterine polyps are benign (non-cancerous). 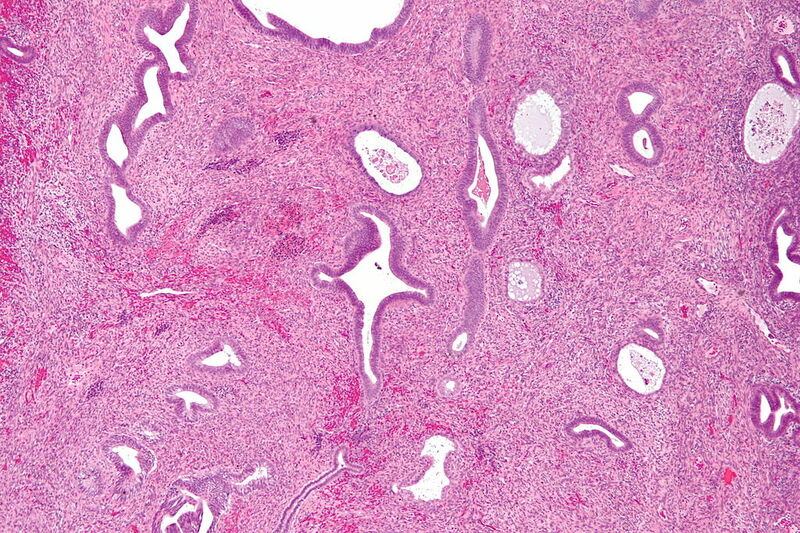 However, it is still important that a tissue sample from the polyp be sent for biopsy to rule out cancer. Polyps can be removed surgically through a hysteroscopy. Small polyps may resolve on their own and do not need extensive treatment unless you suspect uterine cancer. Certain medications may lessen the symptoms of the polyps but this is a short term solution and the polyps may reoccur once you stop taking the medications. It could happen that you may experience recurring uterine polyps that may require treatment more than once. Hysterectomy – removal of the uterus could be necessary if the polyps are found to contain cancerous cells.